Entrance hall: Spacious hall with a tiled floor and a console table. En-suite shower room: large walk-in shower, chrome heated towel rail, WC, hand basin with cupboards under and a shaver point. En-suite shower room: chrome heated towel rail, WC, hand basin with cupboards under and large walk-in shower. Bedroom 4: Fabulous double room with two circular "port-hole" windows overlooking the gardens. This gorgeous room has a king-size iron bed, bedside tables and lamps,dressing table, chest of drawers, a built-in storage cupboard with shelving and a built-in double wardrobe. Family bathroom: has a bath, hand basin with storage cupboard under, chrome heated towel rail and a WC. Utility Room: a useful room with the oil fired boiler supplying domestic hot water and central heating, a second fridge/freezer, stainless steel sink with cupboards under and a washing machine. Conservatory: Light and spacious place to sit, with a large striped sofa and foot-stool, plus a dining table with 8 chairs. There are double glazed doors opening onto the side driveway. The wooden staircase to the first floor leads up from the entrance hall and is not steep. There is a stair-gate at the bottom of the stairs. Sitting room: A wonderful room with a high vaulted ceiling with exposed beams which has stunning views across the marshes and out to sea. There is comfortable seating for 10 people with large comfortable leather sofas, an armchair and a bean bag. There's freeview digital TV, a DVD player, sideboard and an electric log burner style fire. There is a telescope to take advantage of the breath-taking views and a small study area with a desk. Free wifi is provided throughout the house. Kitchen/dining room: has breath-taking sea and countryside views. The kitchen is fully fitted and finished in cream with granite worktops, double stainless steel, mixer tap, built in range master stainless steel double oven range cooker with five ring ceramic hob, canopied extractor and stainless steel splash-back, built in fridge/freezer, built in dishwasher and microwave. There is a large dining table with 10 chairs (please note that 12 may be seated with a squeeze), positioned next to the feature window to enjoy the coastal views. En-suite shower room: walk in shower, WC, hand basin with cupboards under and shaver point. Bedroom 1: This is a fabulous room which really does have the "wow factor" enjoying unrivalled sea views across the marshes and out to sea. There is a king-size bed, bedside table and lamp, dressing table and a bench seat to sit and enjoy the views. En-suite shower room: walk-in shower, hand basin, shaver point, chrome heated towel rail and WC. Bedroom 6: Is ideal for children as it has a slightly lower ceiling and specially lowered full-size twin beds, chest of drawers and a small table and chairs. There is a hairdryer in each bedroom at this property. 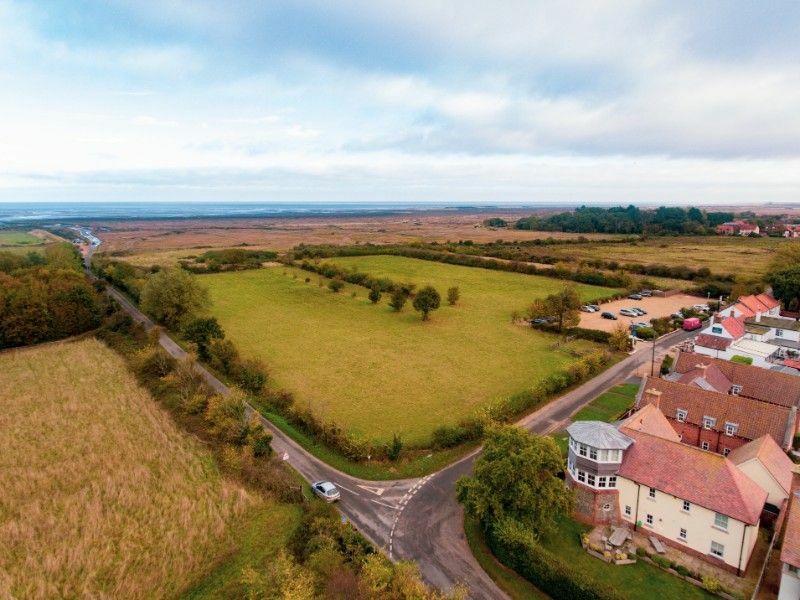 The Saltings is ideally located away from the coast road down Ship Lane in the popular coastal village of Thornham. At the front of the house a five bar gate opens to provide access to the shingled parking area where there is parking space for 3 cars. There is a pathway to the front door with mature lavender plants and further access to the side garden which is enclosed by timber and willow fencing. The garden is mainly laid to lawn with a range of mature shrubs, oak tree and large timber edged flagstone patio, with garden furniture and a charcoal barbecue, ideal for entertaining. There is a tumble drier available in the garage. 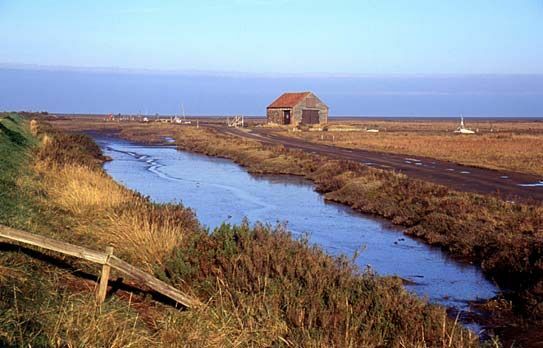 There is direct access onto the Norfolk coastal path and the scenic walk across the marshes to Thornham's gorgeous sandy beach. Guests are spoilt for choice with excellent local places to eat and drink within a short walk away, including Marco Pierre White's The Lifeboat Inn and the award winning Orange Tree pub. 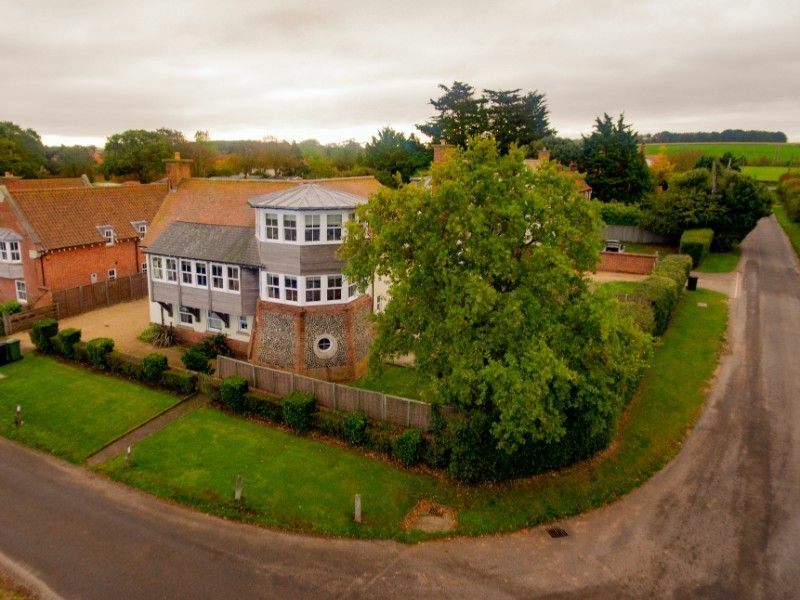 Better than expected, the house was amazing, loved the actual building how the house is decorated beautifully the views and loved the village of Thornham. We loved our stay at The Saltings we cried on arrival as we had this stay through Something to Look Forward to Charity for my mum who has Secondary Cancer. A very enjoyable stay in a gorgeous spacious home. The house was very well presented and had a great sense of space so we weren't on top of each other. We thoroughly enjoyed our stay and with 3 generations including a newborn and a dog that had a lot to do with it being so comfortable. A fabulous house with everything we needed for a large family of 4 generations.